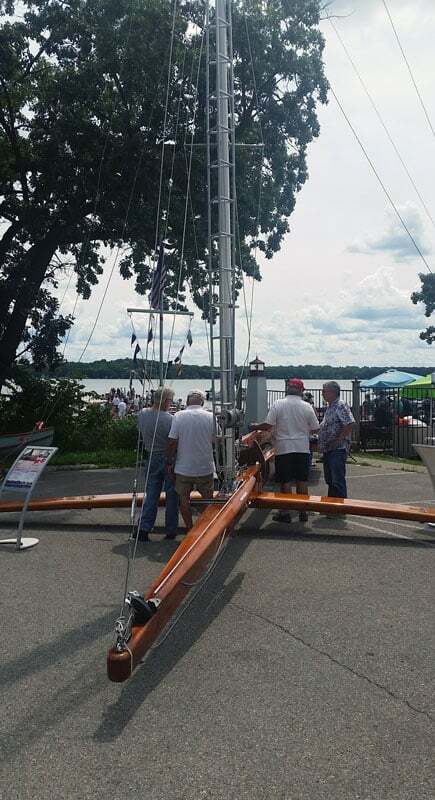 August 5, 2017 was an amazing day for the Mary B Foundation at the Madison Area Wooden Boat Show on Lake Waubesa yesterday. A crew of the usual suspects, some in flip flops quickly set of the Mary B in the parking lot with not a glove or mitten in sight. The B looked great on display, the glint of her varnish and reflection from her chrome inspired a wooden boat owner and kindred spirit of keeping living history alive to step forward and pledge to match any monies raised to support the Mary B Foundation during the boat show. 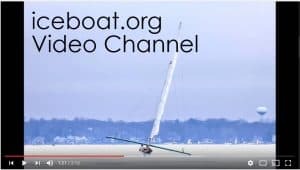 This fantastic opportunity inspired someone else to match funds raised during the boat show leveraging this pledge even more. Well this got the fundraising firm of Frautschi, Holtzman, Whitehorse, and Simon in full remote fundvraising mode. The alert went out on the internet, Facebook, and through the crowd at the show and people responded. After Don Sanford’s historical talk about the ‘B, the helmet was passed through the crowd and people were very generous. The Lake Waubesa Sailing Club started the ball rolling with a $50 donation and by the end of the day the helmet was full of money and pledges.